Alright, So its been a little while, hope to be back up to at least a few posts a week. 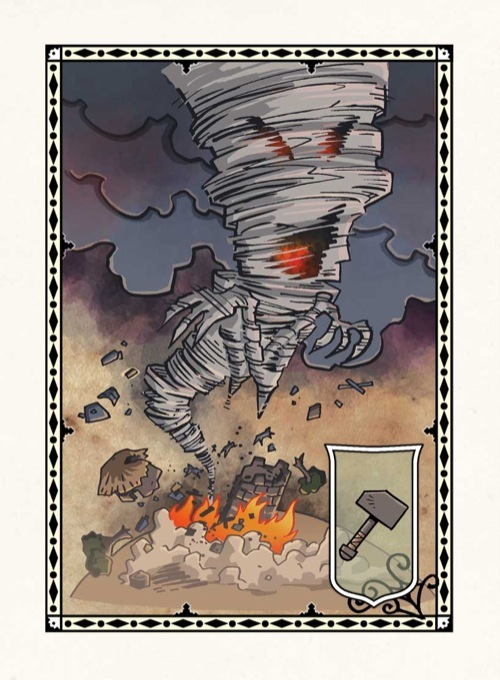 So here are two Pathfinder Harrow cards the Cyclone and the Forge, and here is how they can be invoked in the Dreamlands. When invoked a slight breeze will begin blowing, a breeze which quickly becomes a howling gale, heralding a terrible storm which will become visible on the horizon. At the center of this storm spins the Cyclone. 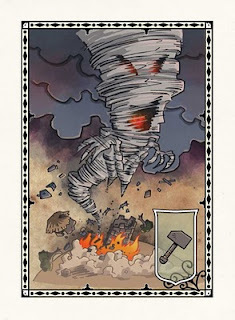 A terrible and very destructive force, the Cyclone can shatter the normally peaceful landscape of the Dreamlands. Although the Cyclone is nigh impossible to control a skilled dreamer can enter into the Cyclone and by subtly guiding its movements use it as a means of fast transportation across vast distances. Needless to say this is an extremely dangerous way to travel. When invoked a small smithy will appear. 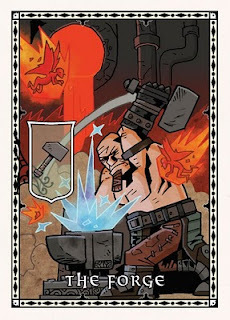 The Blacksmith is a gruff sort of fellow who does not like being interupted from his work. A skilled dreamer may be able to convince the Blacksmith to create a single item for them. The item will obviously be crafted from metal and of a excellent quaility, quite often even having magical qualities. A magical sword would be suitable item to ask for, but a giant metal fortress would not. 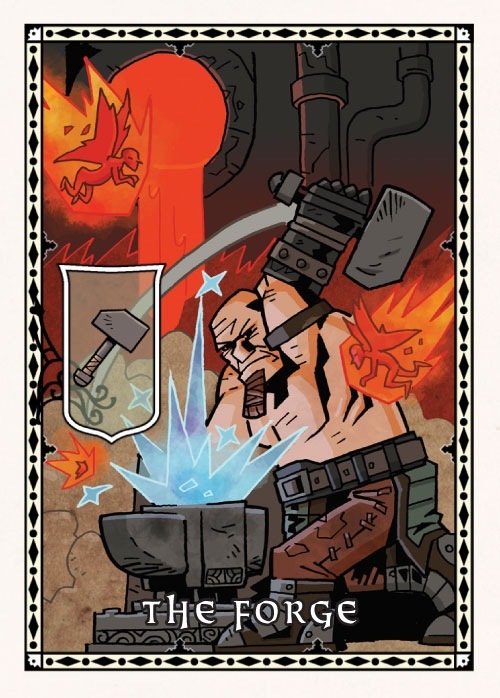 Greedy dreamers who ask for too much will be chased away by the Blacksmith`s fire sprite assistants.